The Zionist Organization of America (ZOA) calls on the Pitzer College Board of Trustees to endorse President Melvin I. Oliver’s appropriate and wise decision to veto the bigoted College Council’s recommendation to suspend Pitzer’s study-abroad program with the University of Haifa in Israel. 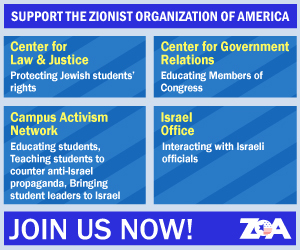 On April 4, 2019, ZOA National President Morton A. Klein, Susan B. Tuchman, Esq., Director of ZOA’s Center for Law and Justice, and Leore Ben-David, Managing Director of ZOA Campus sent a letter to the Pitzer College Board of Trustees to point out the obvious bigotry and hypocrisy of the College Council’s recommendation, highlighting that it sought to suspend only one study-abroad program, in the human-rights-loving Jewish state of Israel, while ignoring others in countries with documented horrific human rights records, such as China, Cuba and Turkey. 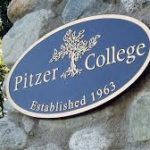 The ZOA calls on the Pitzer College Board of Trustees to endorse President Oliver’s decision and reject the bigoted College Council’s recommendation that, if implemented, would violate students’ academic freedom. We urge Chairman Brown and the honorable trustees to issue a clear and forceful statement, prior to April 11, 2019, which expresses (1) their support for President Oliver’s decision; (2) their rejection of any effort to boycott Israel; and (3) their complete and total confidence in President Oliver and his continued leadership of Pitzer College. President Oliver is a model for other college leaders across the country who are facing similar discriminatory calls for boycotting America’s ally, Israel. We urge the Pitzer College leadership to stand with him and let the anti-Semites and Israel-bashers know that bullying, name-calling and intimidation will not work on their campus.